These handmade girls room decorations are made from wood. Kids room decorations are painted with high quality paint. The edges of the owl are shaded. 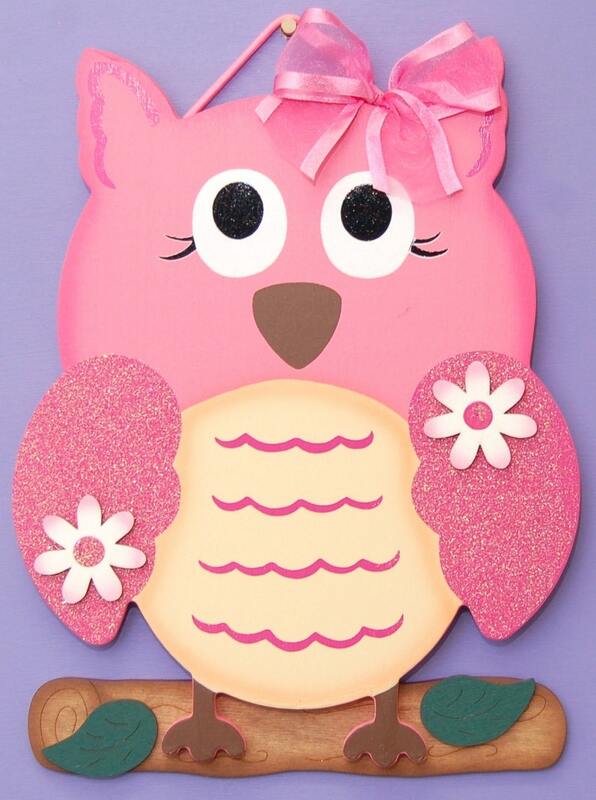 Flowers, leaves and stick are each separate pieces that are painted and then attached to the owl. Owls wings shimmer with glitter.